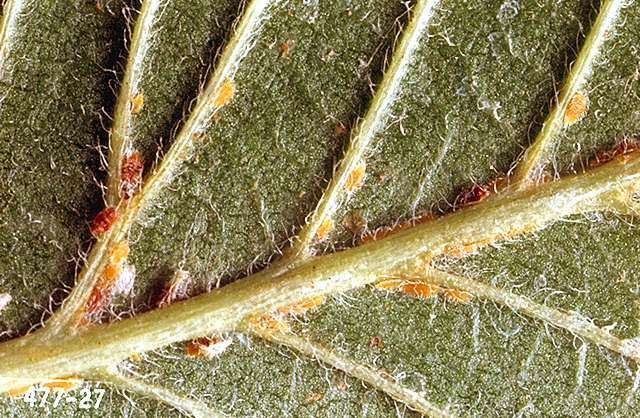 Pest description and damage The European elm scale is a reddish-brown to purplish scale surrounded by a conspicuous fringe of white, waxy material. They sometimes resemble mealybugs. The mature females are about 0.13 inch in diameter. The crawlers emerge in late spring and summer and are yellowish to dark brown. The scale feed on twigs and branches as well as leaves. Feeding scale produce honeydew, a sweet, sticky material which attracts honeydew-feeding ants and honeydew becomes covered with a growth of black sooty mold. 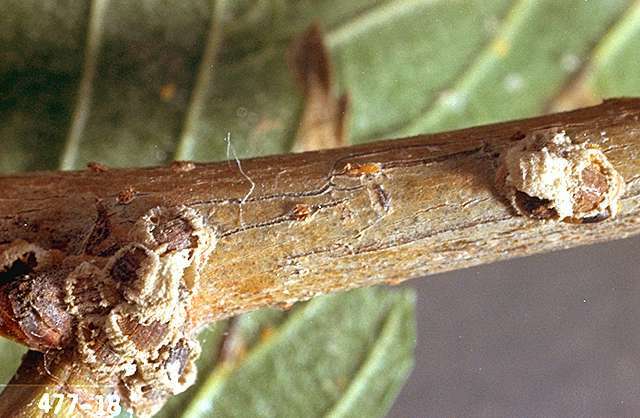 Infested trees may show yellowing leaves and early leaf drop, followed by death of twigs and branches. Severe infestations may cause extensive damage. Biology and life history The scale overwinter as immature crawlers in bark crevices of small branches and branch axils. In spring, the females lay eggs and by June, the crawlers are active. They move to the undersides of leaves to feed, remaining there all summer. Often, the scale drop to the ground with the normal leaf-fall and are killed. There is one generation per year. Asiatic elms such as Chinese elm (Ulmus parvifolia) apparently are not infested. Siberian elm (U. pumila) is also resistant but is a poor shade tree. Provide proper culture to maintain plant health. Healthy trees are more able to tolerate scale infestations. 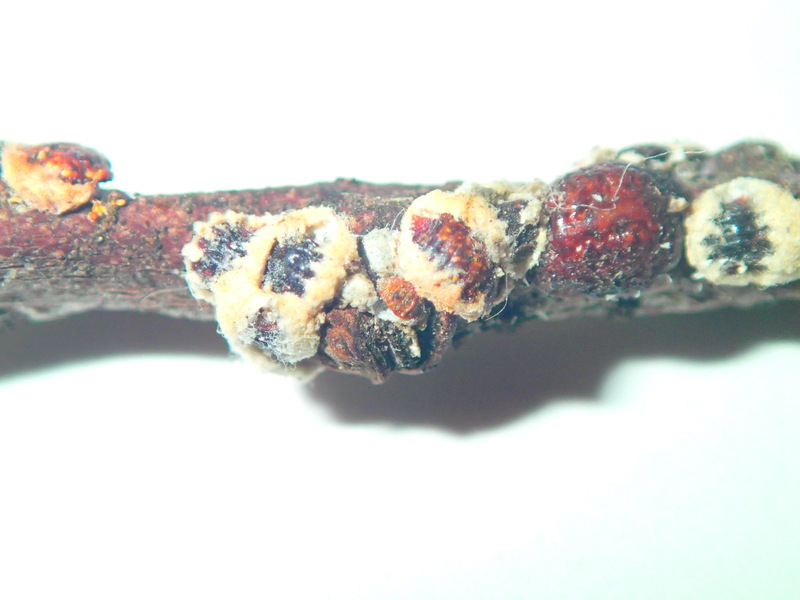 Prune and destroy twigs to help control isolated infestations, when practical. Apply adhesive tape, double-stick or sticky side out, near infestations of adult scale to catch the crawler stage. As with aphids, avoid excessive nitrogen fertilizer, as this favors population increase. Natural enemies such as lady beetles, green lacewings and wasp parasitoids help control scale populations. Avoid use of broad-spectrum insecticides which kill beneficial insects. Dormant-season spray-Apply with enough water to cover the entire tree thoroughly. Growing-season spray-Apply to control the immature crawler stage, usually in late spring to early summer. Scout for crawlers and gather life history data.